Hello again golfers and welcome again to our latest newsletter, remember we've got a Bank Holiday coming up on Monday so hopefully you've got an extra day to get a game of golf in. For the very latest news please like our Facebook page (www.facebook.com/hartfordgolfclub) and give us a follow on Twitter (@HartfordGolfC), you can also book your tee-times on our website (www.hartfordgolf.co.uk) and quite often if you pay online at the time of booking it will cost you less than if you pay in the shop. - The loft and lie on older sets could have moved a lot - we checked a set recently where the 4,5 and 6 iron were all very nearly the same loft! 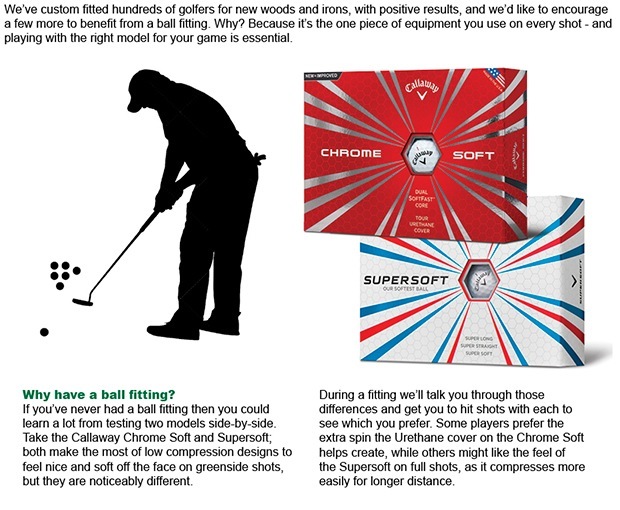 - Most golfers have never been fitted for grip size - amazing considering it's your only contact with the club! 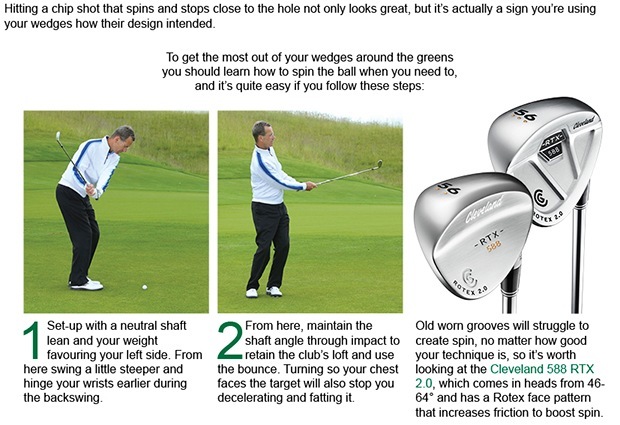 We're willing to bet that a lot of these principles will apply to many of you reading this newsletter and we are here to help, if you visit us for a custom fitting session we can virtually guarantee good results! If you would like to enquire about club fitting please contact me here, we promise you won't be disappointed and it needn't cost the earth but will help your game improve massively. It was a quiet Midweek Medal last Wednesday but the weather was good and there were still some good scores, none more so than in form Gemma Davies who followed up her good Captain's Day performance by taking the win here. She scored a nett 69 including a brilliant par on the last hole - this proved crucial as she edged out Steve Holehouse (also on 69) by virtue of a better back nine. Steve had a birdie on the first but a double bogey on the last hole cost him victory, although he's already won on two occasions this summer so we won't feel too sorry for him! Stuart Fallows came in in third place with a nett 74. In the Midweek Order of Merit with just one competition left Bobby Williams now has an insurmountable lead at the top, well done Bobby! The latest ladies competition was a sunny nine hole Stableford last Monday evening, there was a first time winner in Wendy D'Arcy who scored a very creditable 20 points, in second place was Elspeth Forbes on 19 points and in third place was Jill Bebbington also on 19 points. The next ladies competition is an 18 hole Summer Stableford this Thursday starting at 9:24am. The seniors visited nearby Heyrose Golf Club last Tuesday for the vice-captain's away day organised by Bob Bowen, they had fantastic weather and there was some good golf played by the 34 seniors that made the trip. Bob had the good idea of splitting the prize winners into age groups, Andy Margeson won in the youngest age group, Pete Wildin won the middle-aged Seniors group and the 'super-seniors' was won by our club President Colin Maddock. Bob was very kind to donate a trophy for the event that will now be played for every year called the Vice-Captain's Cup. It's been a good summer for a lot of our junior golfers and Adam Powell's junior Academy goes from strength to strength, on Sunday we played the junior Club Championship and the winner of the gross prize was our young Cheshire star Kieran Underwood with a score of 81. The nett prize was won by young Mitchell Reeves with a stunning score of nett 60, check out the video here (www.facebook.com/hartfordgolfclub) of Mitchell's fantastic bunker shot on the seventh green - definitely another future star in the making with shots like this! The next junior competition is a Stableford on Sunday 4th September at 1pm.